Dutch painter, draughtsman and printmaker, possibly of German origin. Almost nothing is known of his life, and only half a dozen paintings (and an even smaller number of etchings) are recognized as being by him. 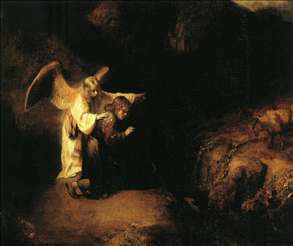 According to Houbraken, he was a pupil of Rembrandt, possibly in or shortly before 1650. All the works that are dated are of the 1650s, and it would seem that at this time Drost was one of Rembrandt s closest and most talented followers. His earliest dated paintings are two pendants of 1653: the Portrait of a Man (New York, Metropolitan Museum) and the Portrait of a Woman (The Hague, Museum Bredius). An early etching signed w drost 1652 is probably a self-portrait, in which Drost portrayed himself as a young man drawing. His Portrait of a Young Man in the Wallace Collection, London, bears a false Rembrandt signature. See more details about "Bathsheba"
See more details about "The Vision of Daniel"